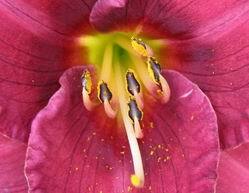 You can find by CHARACTERISTICS an explanation of regularly used terms and a description of the daylily. The button CULTURE shows among other things the way I use fertilizers in my garden. The easiest way to divide a clump stands on DIVIDING. 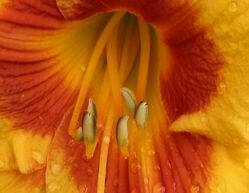 And the most exciting quality of the wonderful daylily you can find on HYBRIDIZING. There I will tell you how to make your own crossings and the most successful way to grow seeds according to me. Results of my own hybridizing you can see on FRISIAN UNIQUE.